ABOUT US Located amidst the vibrant industrial environs of Bangalore, Maxpreci, right from inception in 1995, has positioned itself at the high end of machine tool technology, thanks to the experienced technocrat team of promoters. Focused exclusively on machines for automobile engine rebuilding, the manufacturing range of Maxpreci, has expanded from a single product in 1995 to an impressive array of more than ten "Best in the class performers". Maxpreci today, is a multi-speciality manufacturing unit turning out Fine boring machines, grinders & honing machines, with each introduction helping to unfold optimal possibilities in competitive manufacturing. The strength of Maxpreci to offer nothing less than the best, is derived from a self-reliant high-precision manufacturing capacity, “state of the art’ checking facility, uncompromising mandate on quality and “customer-centric” strategy. And the most important trait is the spirit of innovation that stems from the competent crew of professionals, whose experience under different platforms, lends that extra bit of confidence, and that extra touch of reliability. Which is why, Maxpreci enjoys the overwhelming support of its clients, who get what they like and like what they get. Why have so many chosen “Maxpreci”? 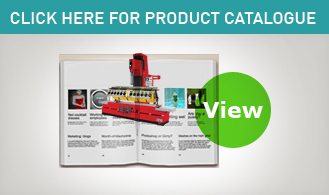 Click on to know more on the product range and features. Our Vision is to create a robust presence in the global marketplace and be rated among front line suppliers of high quality, cost effective and easy to use, high precision machine tools for the automotive industry. Every individual or organisation associated with “Maxpreci “should be delighted to identify with the brand. We are committed to the principles of Total Quality Management Involving continuous improvement in the calibre of our human capital, vendor base, manufacturing resources, testing facilities and operating system as a whole, to re-affirm credibility of our products and services from time to time. Our obligation towards safety and environmental care will not be secondary to any other priority.